This is the most unusual antique lamp I've seen so far. 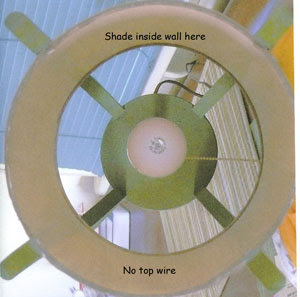 The shade is a drum with no top wires. It just sits on the green bars below. 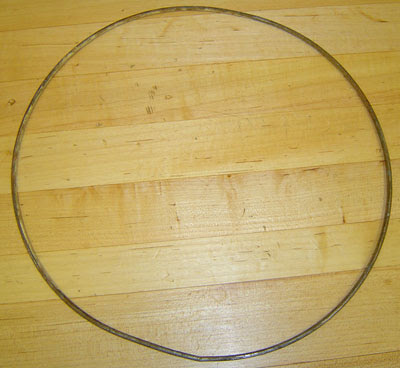 This is a before picture of the shades ring. 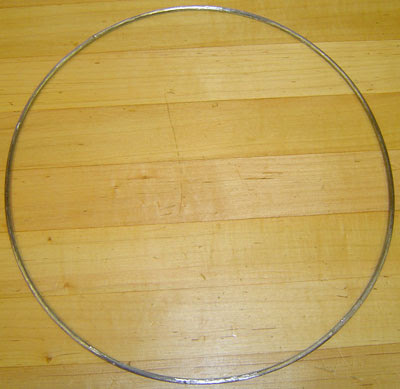 I've just finished cleaning up the rings so they are ready to be painted to prevent rust. This is an after rust removed picture. I have now added the fabric to the rings. Next is the trim.